Featured below is a collection of custom dresses I've made ranging from casual to bridal. Dresses are my favorite garments to create next to costumes, so I'm always happy to bring the client's visions to life. Enjoy! I was fortunate enough to create bridesmaids dresses for two different weddings. These dresses are comfortable and versatile; giving each bridesmaid the ability to make it their own. 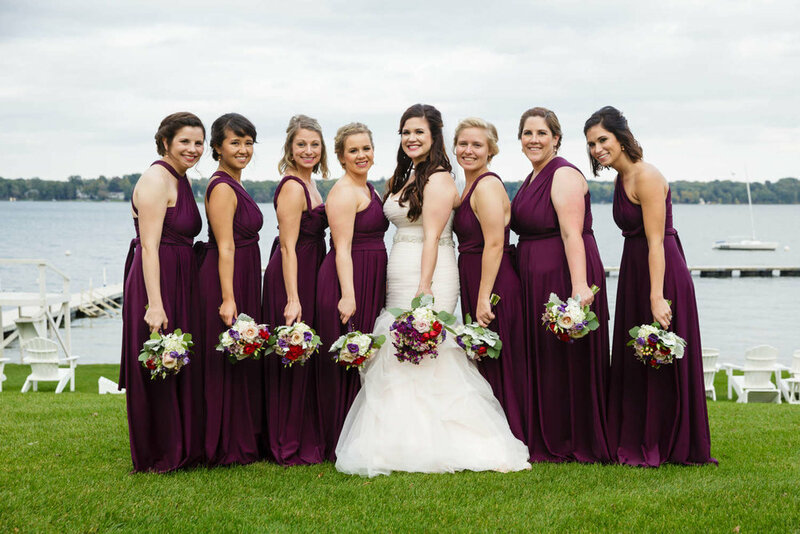 Made in shades burgundy and wine which complimented the beautiful fall weddings. The veil is cathedral length with blusher and rhinestone trim detail. Bridal shower & cocktail dresses.